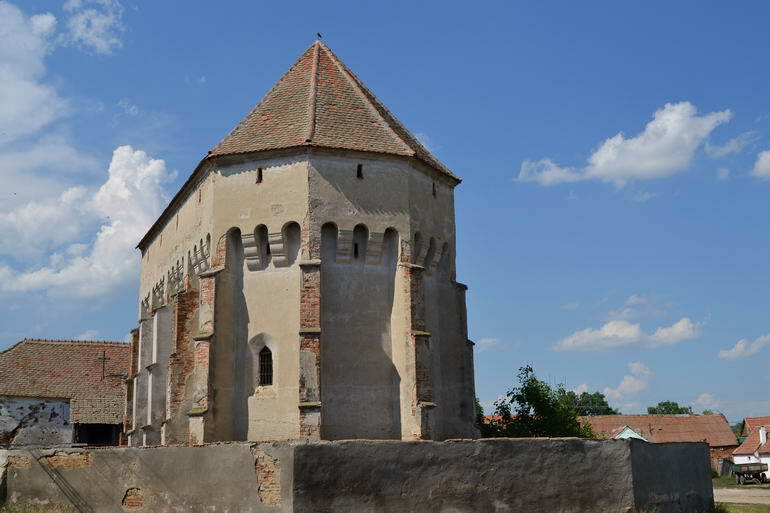 In the middle of the center square in the small village of Boz near Sebeș stands the late Gothic hall church surrounded by a low ring wall. According to the inscription the erection dates back to 1523. The hall and choir of the church merge together in the same width. The vault of the hall has a decorative ribbed ceiling made of clay bricks. The facades are separated by buttresses. These and further consoles arranged in between are the support for the two defence floors. The crenels were accessible through the consoles of the lower defence level while the embrasures served as defensive systems in the second defence level. Both stories can be accessed through a spiral stairway on the north-eastern side of the church. Similar fortified churches can be found in Cloașterf and Dupuș. The church of Cloașterf was built by the famous architect Stephan Ungar and he is most probably also responsible for the other two churches. A gateway tower with a wall-walk is on the northern side of the fortification. 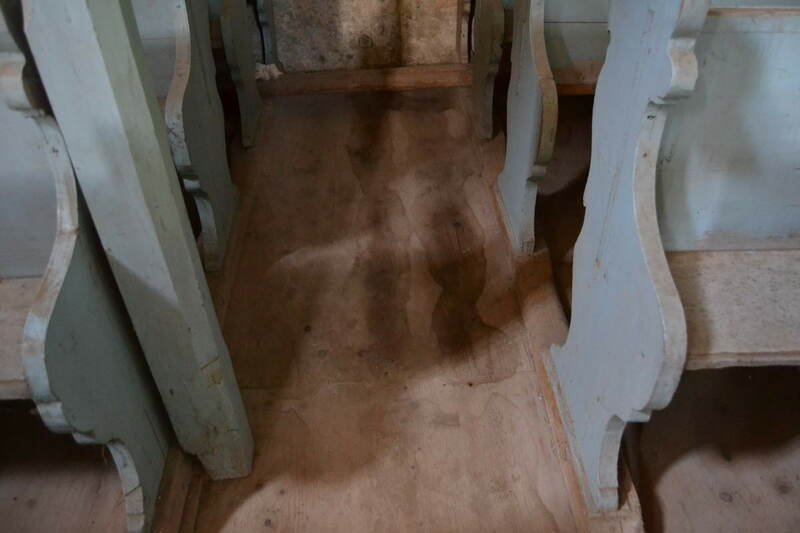 Besides the altar dating back to early Baroque the remaining décor in the interior is mostly from the 19th century. 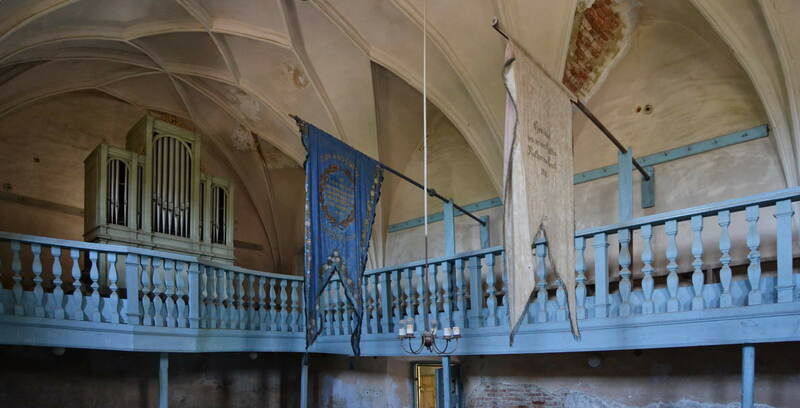 In the mid-1990s, Daniel Schuster, a Saxon citizen of Transylvania from Boz, began to save the towerless fortified church of his home village from decay. He founded a foundation and collected donations. In 1998, major repair work was thus carried out on the roofs and the circular wall. Almost 20 years have now passed. Thanks to the voluntary and continuous commitment of Mr. Schuster, the ensemble has survived to this day. 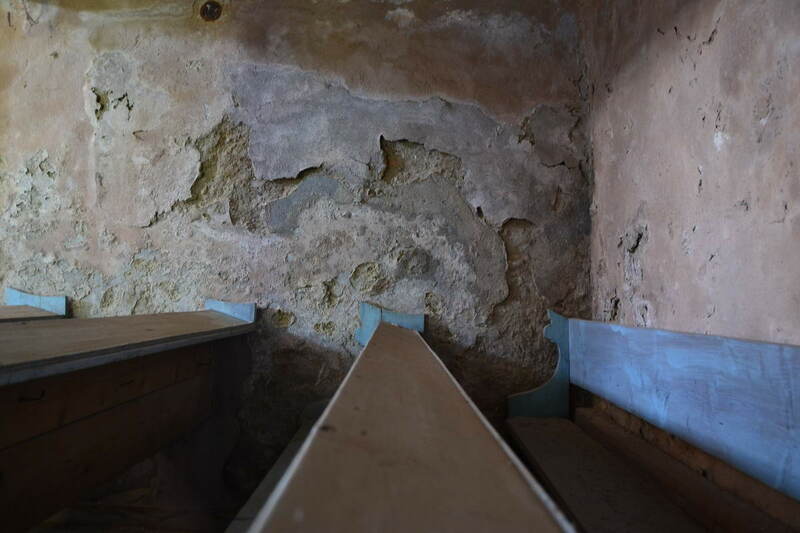 Nevertheless, the ravages of time gnaw at the substance and further monument preservation work has to be carried out. 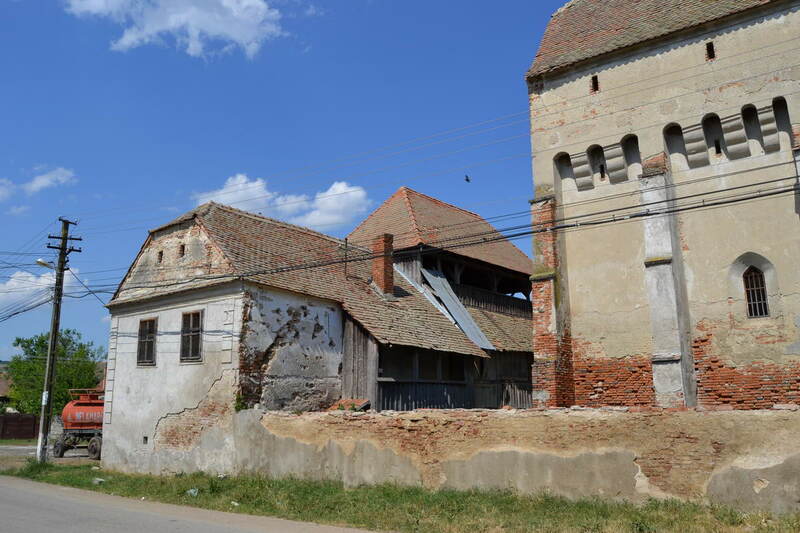 The Fortified Churches Foundation is very impressed by the untiring commitment of Mr. Schuster and would like to support his work at the fortification in Boz with the roof and monument preservation programme. A brief report on the condition of the plant and preparations for initial safety measures are in progress. 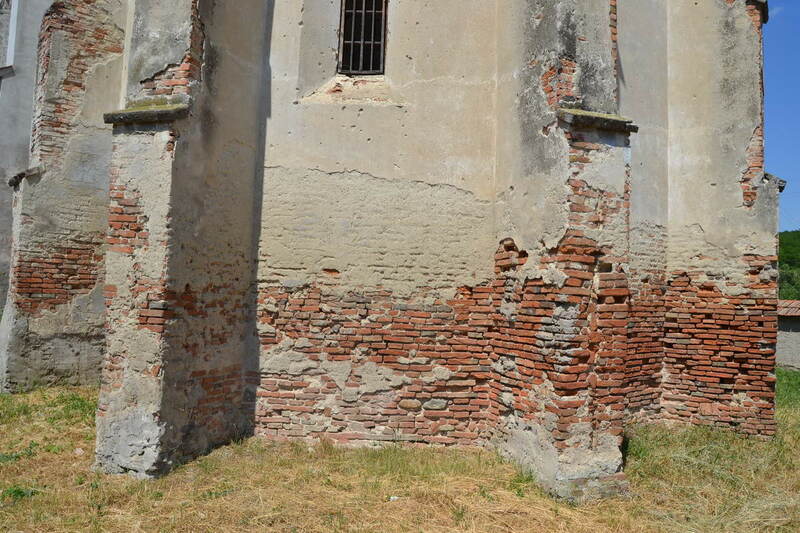 The towerless church must be preserved and the old school in danger of collapse must be secured!